“Since we found virtually no fish or other animal bones during our sea-floor survey or excavations, I was surprised that the microscopic markings on the stone tools, which we call ‘use-wear,’ showed that most of the tools were used to cut or scrape fish or meat,” said Heather McKillop, the study’s lead author and the Thomas & Lillian Landrum Alumni Professor in the LSU Department of Geography & Anthropology. 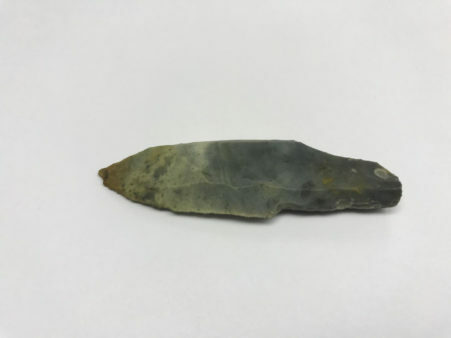 McKillop worked on this study with co-author Professor Kazuo Aoyama from Ibaraki University in Japan who is an expert on the use-wear damage on stone tools. McKillop’s study site is a 3-square-mile area surrounded by mangrove forest that had been buried beneath a saltwater lagoon due to sea level rise. “Sea level rise completely submerged these sites underwater,” she said. “These discoveries substantiate the model of regional production and distribution of salt to meet the biological needs of the Classic Maya,” McKillop said.